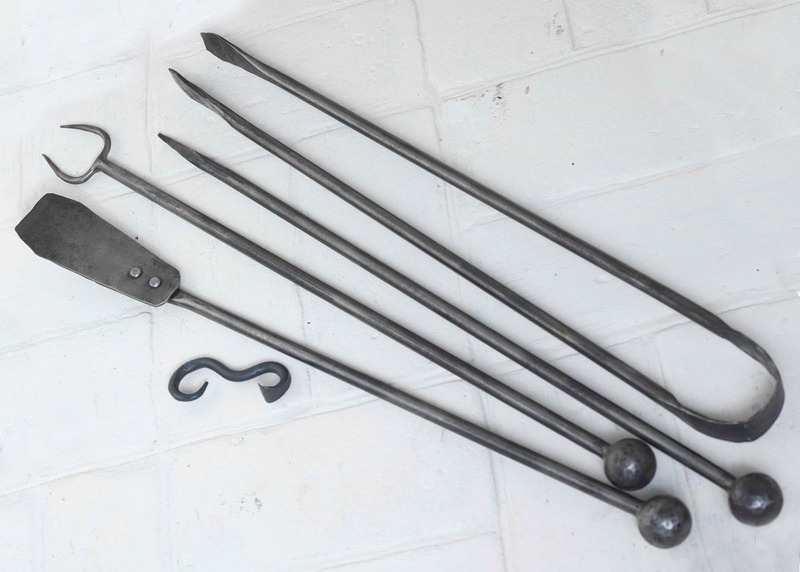 The Entertainer – cool, hot, strong and attractive in the extremes. 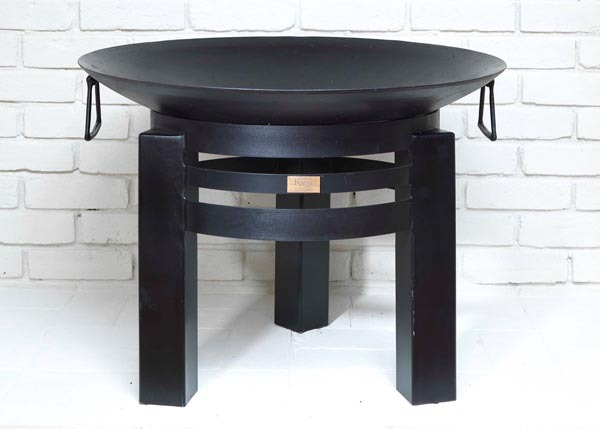 The centrepiece of any garden or patio is The Entertainer, a very special, hand forged fire pit from Made by the Forge. 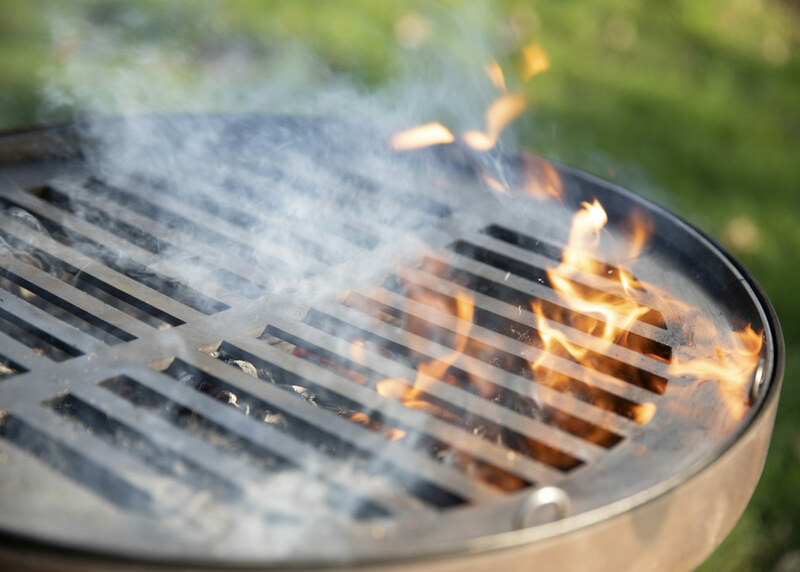 There’s nothing more alluring than an outdoor fire. 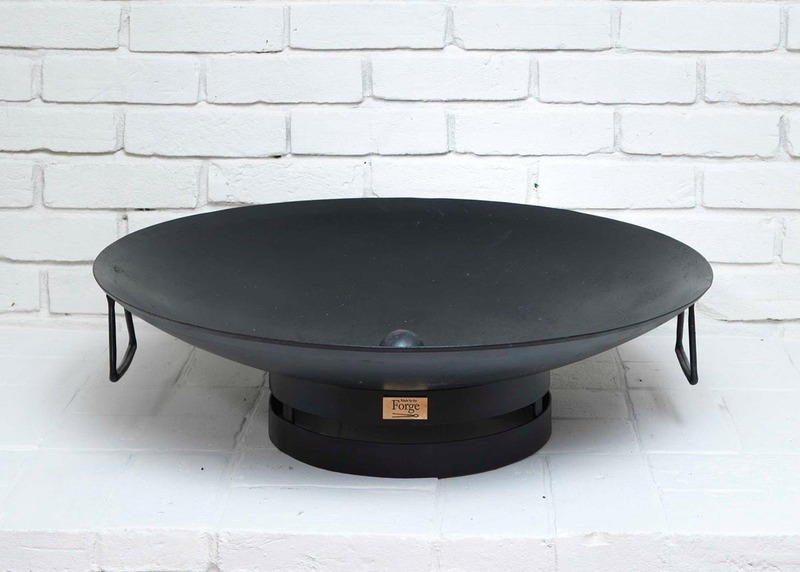 It becomes the focal point of any gathering and The Entertainer isn’t just good looking with its massive jet-black bowl. 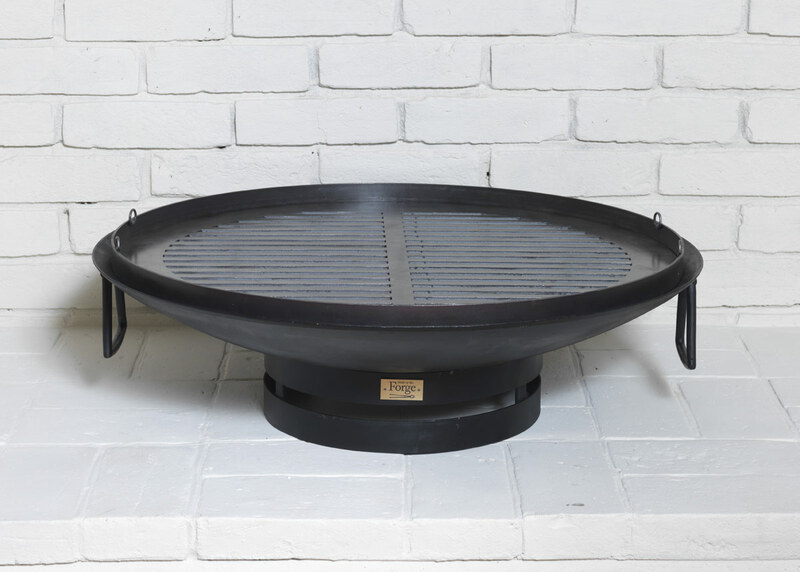 It also boasts a redesigned grill, laser-cut locally for precision and attractiveness. 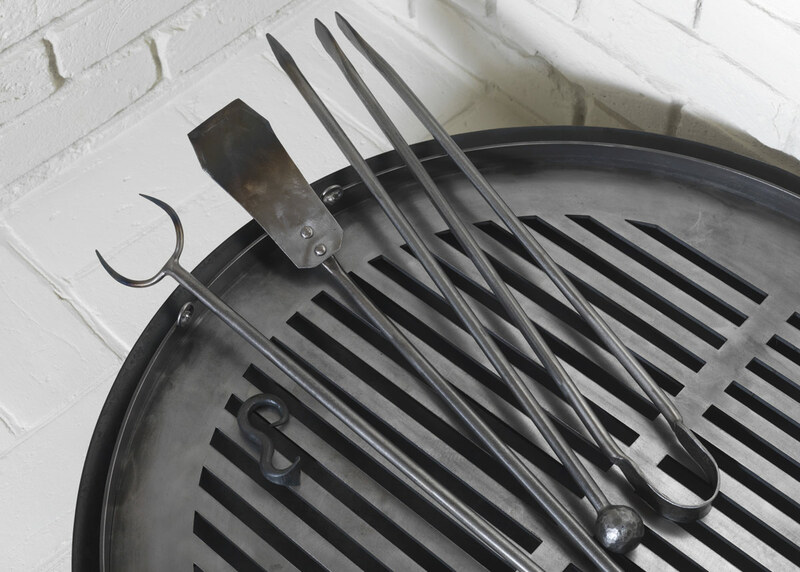 To the outer ring we’ve added handcrafted hooks and handles which enable you to effortlessly lift the grill off giving you the full heat of the fire pit to enjoy as the sun goes down. 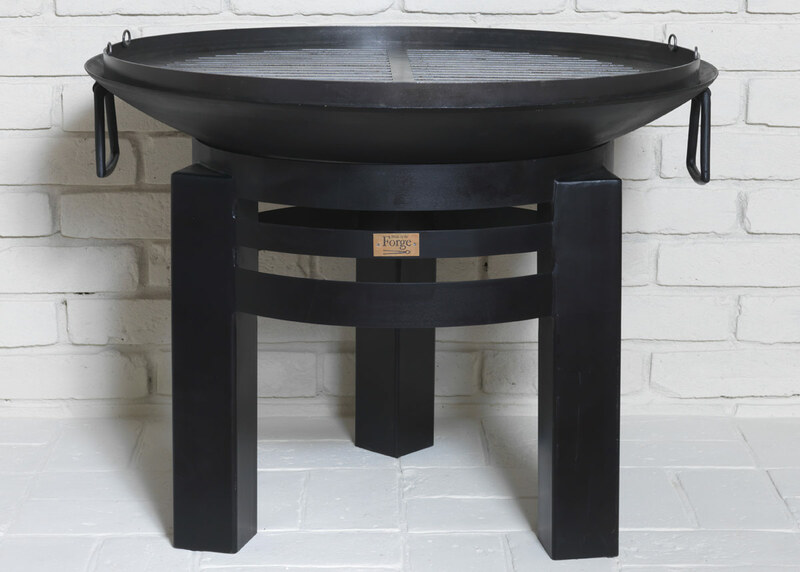 This striking piece of ironwork can heat outdoor spaces at any time of the year as well as serve as the perfect barbecue for those long, summer nights. On the food it cooks, it literally makes an impression. It sits on a choice of high or low stands, each as strong and sturdy as iron can be. The Entertainer High boasts a massive 75cm bowl and its stand measures 45cm high and 50cm across. 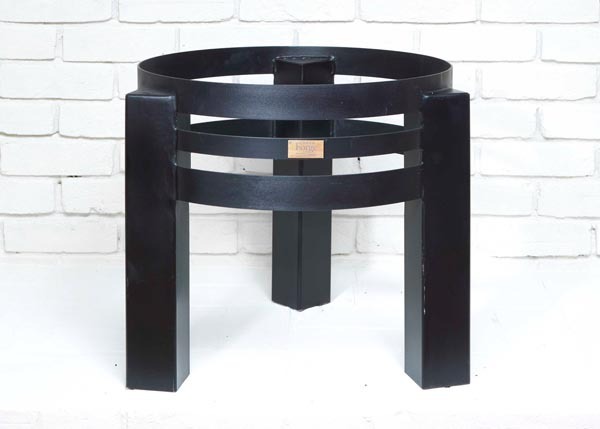 The Entertainer is finished in black, heat-proof paint. Impress your friends. Cook for the troops! The Entertainer Low has the same huge 75cm bowl with a stand measuring 20cm high and 50cm across. Load it with logs. Heat the masses!